Home › News › New Store Coming Soon! Hello from the Turbine eCommerce team. I’m writing today to tell you about some new and exciting updates coming to the in-game DDO Store in the coming weeks! 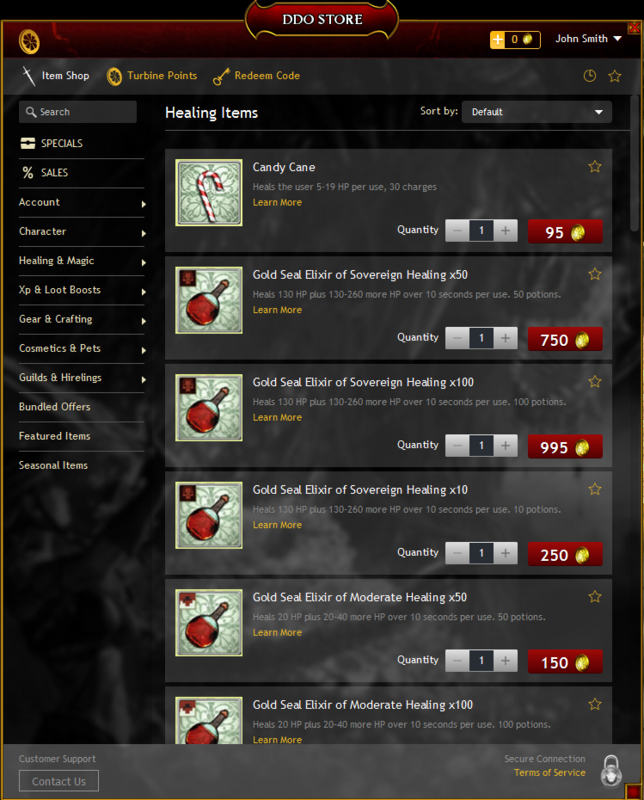 We think the new DDO Store will offer a number of great new features, and improve your experience whether you like to browse, purchase items regularly, or just get in and out quickly! The Store has a completely new look and layout! We’re keeping the functionality you expect, while simplifying and speeding up your experience. The Store is now resizable! You can change the dimensions of the store to whatever you like. Results will be displayed on one scrollable page! No more digging through pages of items to find what you want. Faster and easier browsing! Simply click a Category, and see the sub-categories or items within that category. If you want to check a different sub-category, you no longer have to go back to the parent category. Changing the quantity of a particular item is now easier! When you locate the item you’re looking for, simply click the plus sign to increase the quantity (or minus sign to decrease the quantity), and the price will automatically update a second later. Short and long descriptions are no longer on separate pages! When you see an item, click the “Learn More” link and the description will expand instead of loading a separate page. New Payment Methods are now available! For those that prefer to pay with something other than credit cards or PayPal, we now offer a wide variety of options depending on your selected country. We’re bringing back some popular payment methods such as Sofort, BOKU, PaySafeCard, & more. We’re also adding new options such as the ability to use Subway gift cards to get points & more. There is a new Specials section! 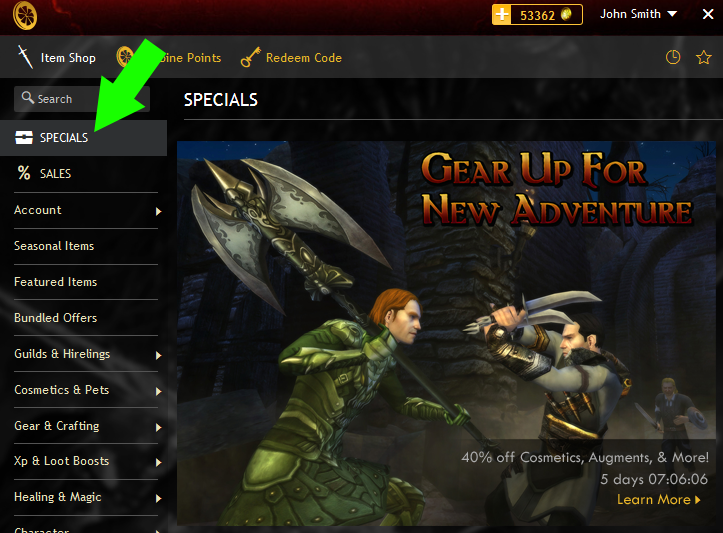 We now have a SPECIALS section of the Store that will highlight promotions, Turbine Point sales, new items, & more. Spend less time in the Store! You can now choose to turn off the confirmation screen when making virtual item purchases. By default, the confirmation screen appears, but can be turned off by checking the box at the confirmation screen, or via the My Account screen. 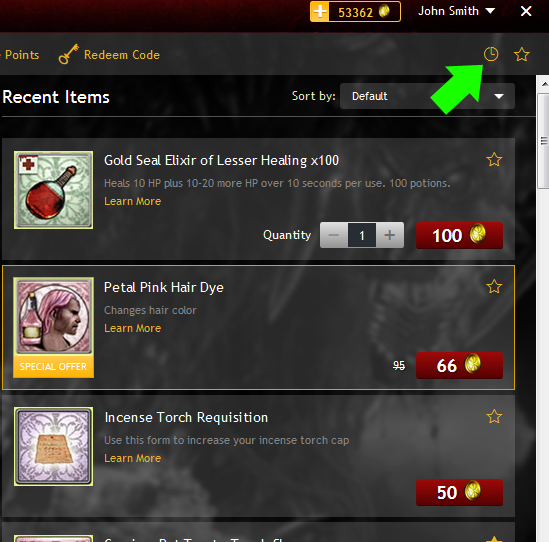 All future virtual item purchases will then complete instantly when you click the Buy button. This feature is not available for Turbine Point purchases. Also, since buying items is much quicker, we’ve streamlined the # of buttons that appear in the store, and removed the cart functionality. What will happen to my Turbine Point wallet balance? ​Turbine will move your balance from the old store to the new one. Players will not need to take any action. ​What will happen to my purchase history? ​Turbine will restore the last 30 days of history to the new Store. ​How do I view my recent purchases? Will my bookmarks be saved? ​Unfortunately not. But think of it as an opportunity to browse the new store! Also, if you know the name of the item, you can simply type it in the search field then click the empty star in the top right to put the item into your Favorites. 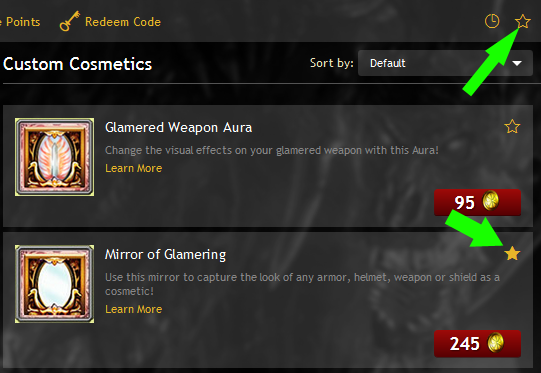 ​Can I still preview cosmetic items on my character? ​Yes! There is now a hanger icon within the item icon that you can click to preview the clothing/armor item. How do I add more Turbine Points to my account? ​Either click the Turbine Points tab or the “+” next to your wallet balance to get to the Turbine Point purchase page. Will I have to re-enter my payment information for Turbine Point purchases? ​Since this is a new Store, you will need to re-enter your payment information for point purchases only. For VIPs, your subscriptions have not changed, and no adjustments are needed. ​I’m currently living in another country, and I don’t see my preferred payment method. Is there a way to see the other options? ​Yes. When you are on the payment option select screen, click on “Show More Methods”, then choose your preferred country from the dropdown at the top of the page. What keys/codes can I redeem in the store? ​At this time players can redeem new free sample codes. 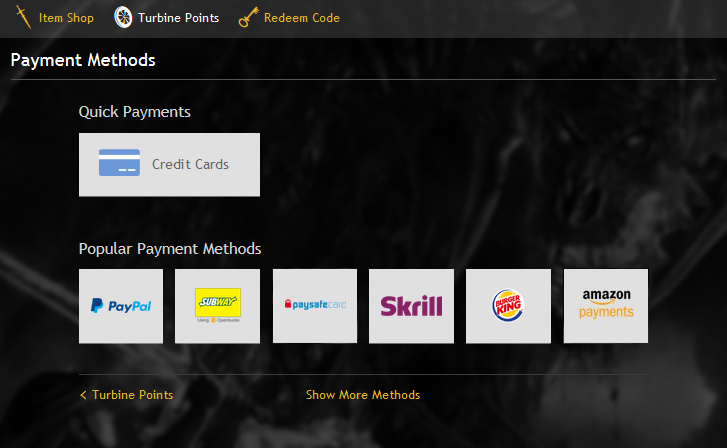 All other keys/codes will need to be redeemed through myaccount.turbine.com. Turbine is looking into allowing more key types to be redeemed in the new store in a future update. ​What’s the difference between Specials and Sales? ​Specials are where we will have information about Store-related promotions. This will include information about sales, point promotions, new store items, and event related items. ​What happened to the option to Filter for Character? 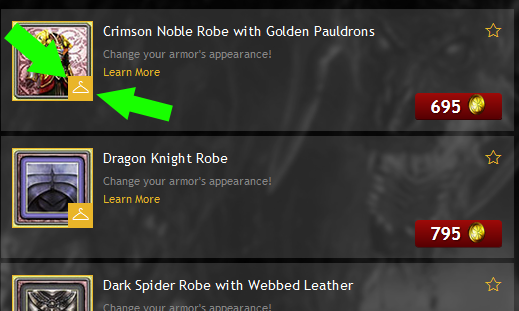 ​By default the DDO Store will Show All Items. We will add the feature to filter for your character in a future update. ​What happened to the Cart? ​The cart was removed as a way to clean up the store interface. Also, given that the new store is substantially faster and easier to navigate, you shouldn’t need it going forward. ​Is this part of Update 28, going live on 9/24/2015? ​No, this is separate from Update 28. ​What happened to the Best-Sellers section? ​The Best-Sellers section may return in a future update. ​What happened to the buttons that let you switch between list view and store view? ​Since all the items in a category are now listed in a single list that you can scroll through, these options are no longer available. ​I can’t find an item that was in the old Store. What happened to it? ​In most cases, we were able to move items from the old Store to the new one. There are a small handful of items, due to the way they were designed, that need to be reworked. We will be working to make them available as soon as possible. ​Will you make additional updates to the Store? ​Yes. We will be evaluating your feedback, and are planning to continue to improve the Store. ​I think I found a bug! ​If you run into a bug, please let us know by sending in a bug report through the Help menu in-game. ​I need help with a purchase! ​If you run into any issues that require attention from Customer Service, please visit our Support Center at http://support.turbine.com.